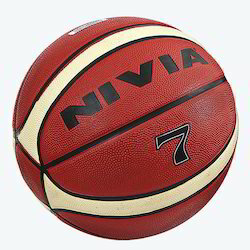 Pioneers in the industry, we offer nivia pro touch basket ball, cosco championship basketball, cosco pulse basketball, cosco hi-grip basketball, cosco tournament basketball and cosco dribble basketball from India. 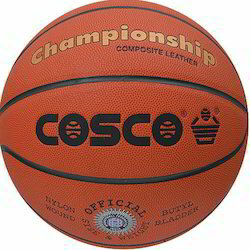 Being a most reliable organization, we are engaged in offering a wide range of Cosco Championship Basketball. The use high quality synthetic rubber in the manufacturing of basketball renders it durability in the long run. We offer these balls in various sizes and color combinations to incorporate innovation in our production. 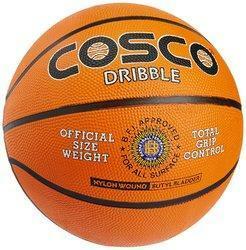 Having a definite quality management team, we bring forth for our patrons best Cosco Pulse Basketball. 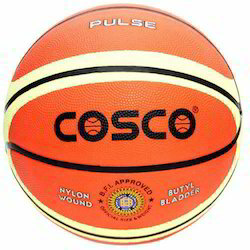 Cosco has exceptionally designed this Pulse Basketball that is approved by the Basketball Federation of India to make your game truly enjoyable and action-packed. 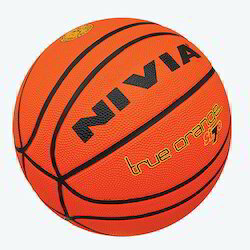 Nylon wound, the intense practice sessions will not cause any wear and tear to the nylon wound basketball as it is excellently constructed using high quality materials. 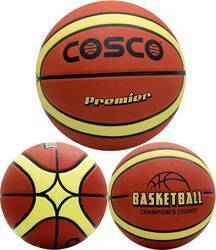 We are involved in providing quality assured series of Cosco Hi-grip Basketball. Besides, our product is checked on diverse industry parameters to deliver flawless range. 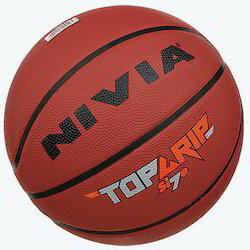 Resistant to abrasion, the basketball is specially moulded with a rubber outer material which helps in offering the players with a better bounce. Highly durable and tough, this basketball can be played on rough terrain as it is resilient to damages. Retaining air for a longer duration of time, the butyl bladder of the basketball will add more bounce while dribbling and passing the ball to the other players. 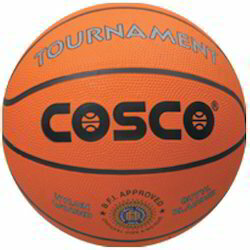 We are a unique name in the industry to provide our prestigious clients an exclusive range of Cosco Tournament Basketball. The rubber moulded two-colour. It is available in size 7. The nylon winding for higher shape retention and rebound. Butyl bladder is used for high air retention. 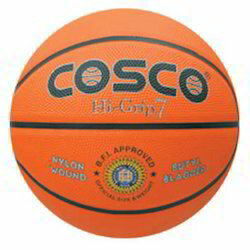 Cosco Championship Basketball - 7 is reinforced with multi-filament nylon which provides for excellent shape retention and consistent rebound. The ball has high air retention owing to its inflatable inner butyl bladder and is ideal for players at the advanced level. 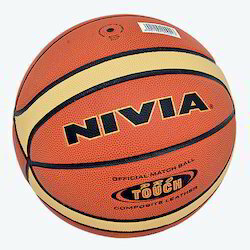 The outer material of the basketball is made of composite leather. 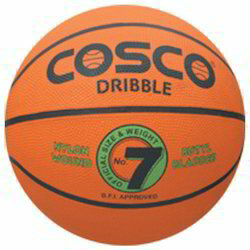 This professional basketball is suited for indoor games. 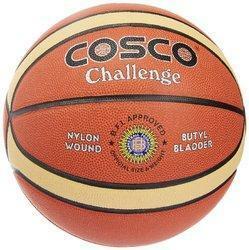 Cosco Premier Basketball Size 5,6 and 7.The nylon winding provides higher shape retention and rebound, while the butyl bladder provides higher air retention. Looking for Basket Ball ?